Give Properties (“We”) are committed to protecting and respecting your privacy. This policy sets out the basis on which any personal data we collect from you, or that you provide to us, will be processed by us. Please read the following carefully to understand our views and practices regarding your personal data and how we will treat it. For the purpose of the Data Protection Act 1998 (the “Act”), the data controller is Give Properties. This version of the policy is effective from the 18th of May, 2018. Our Data Protection Officer is Mrs Lara Boulton. She can be contacted via email on lara.boulton@giveproperties.co.uk or by post to Give Properties, Unit 8 The Barn, Hornsleasow Farm, Snowshill Hill, Moreton in Marsh GL56 9TL. The data we collect from you will be used on the basis of your consent or on the contract between us when you book your stay with us. You have the right to withdraw your consent at any time. Our marketing communications will always include a link to unsubscribe and opt out of our communications. If you withdraw your consent for us to communicate our marketing material with you, we will stop processing your data as requested. 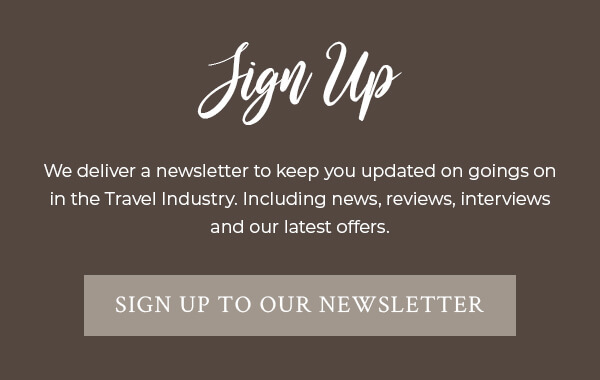 Do bear in mind that if you have a stay booked and you have not yet travelled, we will still need to hold onto your data in order to process your stay, but you are still free to unsubscribe to our marketing material. If you are concerned about the processing of your data, please contact our Data Protection Officer (see contact details above). If you are unhappy with our use of your data, you also have the right to make a complaint to the Information Commissioner’s Office, which supervises data protection in the UK. You have the right to receive a copy of your personal data. You also have the right to request that we correct or remove your data when there remains no legal basis for keeping it. Please note that when these rights are exercised, we will conduct identification checks in order to ensure your privacy is safeguarded. By providing your personal information to us via our advertising platforms, including information provided at the time of registering, subscribing to our service, posting and emailing material or requesting further services. We may also ask you for information when you report a problem with our advertisers. Contact details: Your postal address, phone numbers, email address. Marketing preferences: Your opt-in / opt-out information (whether you wish to receive marketing information from us). Holiday experience: Any feedback you leave, responses to customer satisfaction surveys, whether you have a pet. Communication: Emails, customer service cases, responses to questionnaires, your interaction with our marketing. Details of your visits to our site including, but not limited to, location data, weblogs and other communication data. We may also use your data to provide you with information about services which may be of interest to you and we or they may contact you about these via email. If you are an existing guest, we will only contact you by electronic means with information about services similar to those which were the subject of a previous engagement by you. If you are a new guest, we will contact you by electronic means only if you have consented to this. Where you have booked a stay with us, we will retain your data for a period of 7 years for legal purposes, to ensure that we are able to assist you should you have any questions, feedback or issues in connection with a stay you have had with us or if any legal issues arise. We will contact you at least every 3 years to ensure you are happy to continue to receive electronic communications. If you inform us that you no longer wish to receive marketing communications from us, we promise to stop sending you to them. Where we have processed your data for any other reason (such as where you have contacted us with an enquiry for a potential stay) we will retain your personal information for 5 years. The data that we collect from you will be stored in a location within GIVe Properties. All information you provide us with is stored on our secure servers or those of our third party advertisers. Where you have chosen a password, which enables you to access certain parts of our listings with advertisers, you are responsible for keeping this password confidential. We will not collect information about your computer through IP Addresses, operating system and browser types. Unfortunately, the transmission of information via the internet is not completely secure. Although we will do our best to protect your personal data, we cannot guarantee the security of your data transmitted to our advertisers; any transmission is at your own risk. Once we have received your information, we will use strict procedures and security features to prevent unauthorised access. If Give Properties or substantially all of its assets are acquired by a third party, in which case personal data held by us about its guests will be one of the transferred assets. If we are under a duty to disclose or share your personal data in order to comply with any legal obligation, or in order to enforce or apply our Terms and Conditions or our engagement letter with you and other agreements; or to protect the rights, property, or safety of Give Properties, our guests, or others. This includes exchanging information with other companies and organisations for the purposes of fraud protection. You have the right to ask us not to process your personal data for marketing purposes. You can exercise your right at any time by contacting us. Our site may, from time to time, contain links to and from the websites of our partner networks and affiliates. We do not accept any responsibility or liability for these policies or websites. Please check their policies before you submit any personal information to these websites.